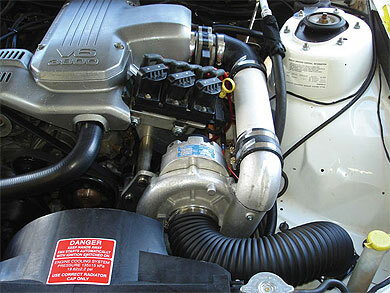 Also available with an enclosed filter intake (through inner guard). No Tuning Required at low boost levels (7psi). Kit capable of up to 14psi with a smaller supercharger pulley, fuel system, reprogrammed ecu and front mount intercooler. 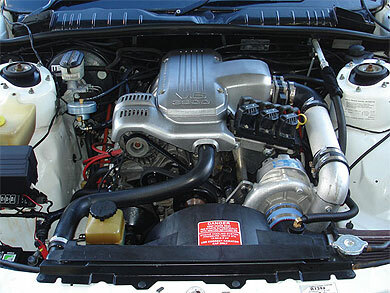 Supercharger Capable of producing up to 550HP. 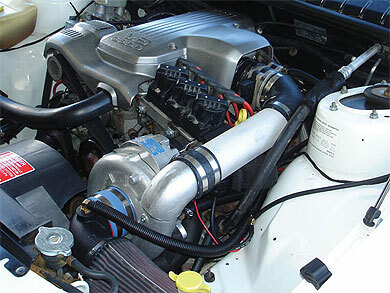 Fuel System and tuning required for a complete installation (not included in kit).